If you can't still decide which ninjas to get for your re-rolls, here's a list of highly recommended ninjas that you should aim for when re-rolling. - Not all ninjas can be upgraded to 6*, and most are capped at 3*, 4*, or 5*. More stars means that your ninjas can reach higher max stats and unlock more passive abilities. - Ninjas that can reach 6* are the only ones that can use Secret Techniques. - Note that when summoning, the number of stars doesn't matter because you can upgrade them later. Just make sure that the name and title are exactly the same. - When re-rolling, aim for at least 1 of these Tier 1 ninjas. These are the best and popular ninjas in the game because of their very high damage output, and very useful support and/or control skills. - Also considered as powerhouse ninjas because of their high stats and powerful skill sets. - If you can't get any of the Tier 1 ninjas above, you may also settle with these ones. - These ninjas are also included as Tier 2 because of their notable abilities that can be used to help complete difficult stages. - Kabuto is an all-around excellent healer, if you can pull 1 Tier 1 or 2 ninja + Kabuto on your first roll, that is defnitely a keeper. - Shikamaru's expertise is immobilization, 85% chance proc rate for 2 turns, plus a wide range critical rate buff to all allies. - These ninjas are also notable when it comes to damage, control, or tanking skills. - Shizune is the weaker version of Kabuto Yakushi - The Sound's Spy. 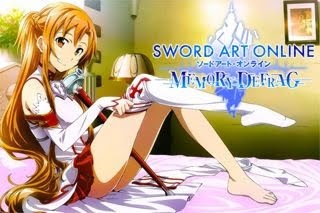 Even though she can only be upgraded to 4* she still deserves to be included here. - After the tutorial with Kakashi, continue with the game until you can gather 30 Ninja Pearls. After that, go and select the "Multi x30" option to get 10 Summon attempts in one go. - If the "Multi x30" option is not available due to special events, look for a similar discounted summon option. - Note: If you want to go for the featured ninjas that requires 50 Ninja Pearls, that's ok too. Featured Banner ninjas will get higher chance rates. - Fully close the app, then go to SETTINGS > APPS > NARUTO BLAZING > and clear the data. - Launch the game to play with a fresh account. - Must have "ES File Explorer" or similar app to open folders from your device. - Navigate your way to /android/data directory. - Rename the com.bandainamcoent.narutoblazingna folder just by adding 1 at the end (ex:com.bandainamcoent.narutoblazingna1). - Next, go to SETTINGS > APPS > NARUTO BLAZING > and clear the data. - Rename the folder back to it's original name, just remove the 1 at the end. - If you want to try another roll after getting your preferred ninjas, you may do so but make sure that you save your USER ID and TRANSFER CODE for that account first. - To check them, go to Other > Data Transfer section. 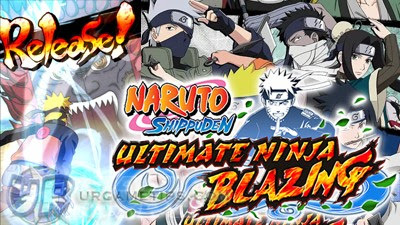 - Once you are done, save your Ninja Pearls for upcoming Multi Pulls that guarantees a 5* ninja, or a featured ninja that you like.